Below you fill find all funeral homes and cemeteries in or near Story City. Story City is also known as: Story County / Story City city. Their current mayor is Mayor Mike Jensen. Zip codes in the city: 50248. Some of the notable people born here have been: (rich olive), and (hank severeid). It was disclosed by Des Moines Register on March 15th, 2019 that Gladys M Crandall died in Story City, Iowa. Crandall was 92 years old. Send flowers to share your condolences and honor Gladys M's life. It was revealed by Peoria Journal Star on February 13th, 2019 that Beverly Jean "Bev" Gallatin (Tegland) perished in Mahomet, Illinois. Ms. Gallatin was 72 years old and was born in Story City, IA. Send flowers to express your sympathy and honor Beverly Jean "Bev"'s life. It was noted by Des Moines Register on January 17th, 2019 that Kimberly Nau died in Story City, Iowa. Nau was 58 years old. Send flowers to express your sympathy and honor Kimberly's life. It was revealed by Waterloo/Cedar Falls Courier on January 9th, 2019 that Florence Marlys Starck died in Story City, Iowa. Starck was 90 years old. Send flowers to express your sympathy and honor Florence Marlys's life. It was reported by Des Moines Register on January 6th, 2019 that Fred M Bunce passed on in Story City, Iowa. Bunce was 94 years old. Send flowers to share your condolences and honor Fred M's life. It was revealed by Des Moines Register on January 2nd, 2019 that Sandra Lee "Sandy" Fagan (Crosby) passed away in Story City, Iowa. Ms. Fagan was 73 years old and was born in Pittsburgh, PA. Send flowers to express your sorrow and honor Sandra Lee "Sandy"'s life. It was reported by Des Moines Register on November 14th, 2018 that Mary Theresa Gates (Bruski) perished in Story City, Iowa. Ms. Gates was 84 years old and was born in St Paul, MN. Send flowers to express your sympathy and honor Mary Theresa's life. It was noted by Des Moines Register on November 7th, 2018 that Jean Elaine Bjustrom (Tingwald) died in Story City, Iowa. Ms. Bjustrom was 83 years old. Send flowers to express your sympathy and honor Jean Elaine's life. It was reported by Des Moines Register on October 2nd, 2018 that John Charles Johnson died in Story City, Iowa. Johnson was 79 years old. Send flowers to share your condolences and honor John Charles's life. It was reported on September 16th, 2018 that Robert J Stoneking died in Ormond Beach, Florida. Stoneking was 74 years old and was born in Story City, IA. Send flowers to express your sorrow and honor Robert J's life. 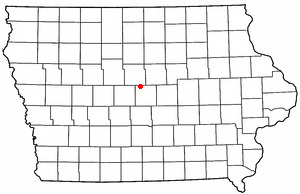 Story City is located within the 'Ames, Iowa Metropolitan Statistical Area' which envelops all of Story County and which, when held in conjunction with the 'Boone, Iowa Micropolitan Statistical Area', complements the larger 'Ames-Boone, Iowa Combined Statistical Area.' The population was 3,228 at the 2000 census. 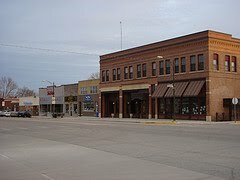 Story City is a city in Story County, Iowa County, Iowa, United States. . . . The official website for the city of Story City is http://cityofstorycity.org/. David Turner, owner of the primary funeral home in Cedar Rapids and a member of one ... Wood entered into a disastrous marriage with a woman much his senior and left Cedar Rapids for Iowa City, where he taught art classes at the University of Iowa. Oct. 23, 2010 | Iowa City, Iowa When sophomore linebacker Mike Taylor brought ... The 22-year-old was killed by a roadside bomb Oct. 13. A procession from the funeral home included a weather-protected, flag-draped coffin pulled by four horses. Rodger Arends, 75, Story City died Oct. 7, 2008 at Israel Family Hospice House. Funeral services are Friday at 1 p.m. at St.
Find florists & Florists in Story City, IA. Read business reviews, find driving directions, and more. florists on YP.COM. We work with local florists and flower shops to offer same day delivery. You will find budget sympathy flowers in Story City here. Our funeral flowers are cheap in price but not in value.